QARI is pleased to introduce our new Chief Executive Officer, Philip Chong. This announcement comes following an extensive search by the board of directors, facilitated by ESC of New England, a leading nonprofit consulting firm familiar with QARI. Mr. Chong holds a master’s degree in information systems from Northeastern University. 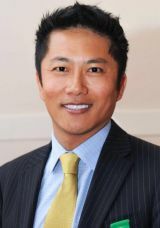 His professional career includes serving as CEO of Keswick Health, COO of Massachusetts Medical International Corporation, and Director of Strategic Initiatives at Simmons College. “My strategic leadership expertise can help advance QARI’s initiatives in diversifying programs, extending our services with potential strategic partnerships in empowering underserved minorities. I might be seen as an outsider in the nonprofit world, but I am passionate about QARI’s mission and determined to lead and grow the organization,” said Mr. Chong. QARI, founded in 2001, is a growing community-based organization serving primarily Quincy’s large Asian and immigrant populations. QARI programs include youth development and mentoring, adult education, family literacy, Chinese language and cultural classes, civic engagement initiatives, and multilingual information and referral to community services. QARI’s mission is to foster and improve the social, cultural, economic and civic lives of Asian Americans and their families to benefit Quincy and its neighboring communities through collaborations and partnerships. For further information, please contact press@quincyasianresources.org.